Learning how to improve your child’s vocabulary can be a challenge. Your child’s vocabulary will be tested in the 11+ examination English questions. Having a broad vocabulary doesn’t just help your child in gaining a place at grammar school. It will help them in all aspects of their life. 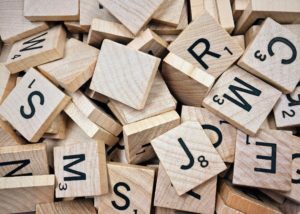 Whether it is in describing what has happened in their day or for their creative writing at school, having a good lexicon will stand them in good stead. As well as this, studies have shown that people who had a good vocabulary as a child are twice as likely to be in employment at 34 than those who grew up with a poor vocabulary. Making sure your child has a love of words is really important. Building your child’s language skills can start as simply as talking. The life of a parent can be busy, but making time to have conversations with your child is really important. Whether it be in the car, around the dinner table or before bed, having a quick chat with your child will go a long way. Even a pre-teen may have already adopted the teenage mono-syllables. An answer of “fine” or “OK” is expected when you ask your child how their day has gone. Asking open questions, which can’t be answered with a yes or a no, is a good start. Then, once you’ve asked your questions, ask a further probing question like “why do you think you enjoyed PE today?” or “what did you find hardest in maths today?”. In order to improve your child’s vocabulary, it is important that you use a wider and wider variety of words with them. Don’t be afraid to use a word they might not understand yet. If they don’t know what the word means, they’ll ask you and you can give them some other synonyms. Generating a love of books is one of the easiest ways to increase your child’s vocabulary. Where better to do this than in the palace of books, the library. Getting you and your children a library card and setting some time aside each week to go and chose some new books keeps reading fresh and is the most cost effective way of seeing different authors who will use a wide range of words to describe similar things. Libraries are not just a great resource for books. They are a great place for your child to interact with adults when taking out books. There is nowhere else that your child can complete a transaction without money changing hands. The Big Issue has been running a campaign called #whybooksmatter. As an important community space for a wide variety of people in the community, you can read more about the campaign here. Once you’ve got your books from the library, your local bookshop or Amazon, get reading! You could spend 15 minutes before bed reading to your child or them reading to you. Alternatively, you could turn the TV off on a Sunday. However you do it, just make sure you set aside time for reading in your house. Your child looks up to you. Therefore, what you do in front of them matters. Reading books in front of them will show them that they should be reading too. So why not pick up some books when you’re in the library with them. If you’ve not read in a while, it won’t be long until your rekindle your love for books! There are loads of word-based games. These are great when you’re in the car on a long journey. So why not try a quick game of eye-spy to kick things off and then move on to other games. You could try playing a game like “I went to the park and I saw/took/did…” Each person has to recount the list up the point they’ve got to and add an item. You can talk to your child’s teacher to get help with trying to improve your child’s vocabulary. There may be additional sessions that the school puts on to assist children in English. Your Smart 11+ tutor will also be able to provide tips to help improve your child’s vocabulary.